On this day in history, March 17, 1776, the British army abandons Boston. When the American Revolution broke out on April 19, 1775 at the Battles of Lexington and Concord, the American minuteman chased the British soldiers back to Boston and surrounded the city. Over the next few days, more militia from all over Massachusetts and the other colonies arrived to help. 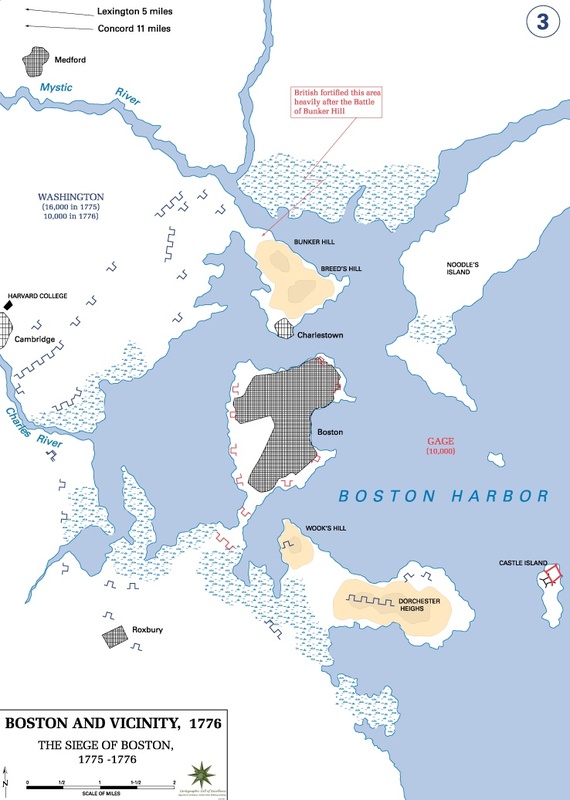 The Siege of Boston continued for weeks with only minor skirmishes, but on June 17, British Commander-in-Chief Thomas Gage took Bunker and Breeds Hills north of town, but in a bloody and very costly maneuver. Indeed, a quarter of Gage's troops were injured or killed, forcing him to give up further operations. George Washington arrived on July 3 to command the newly created Continental Army. Most of the militia was absorbed into this army. Washington set about training the militia how to operate as a cohesive army and began strengthening the fortifications around the city. Food and supplies were short in Boston, where the only access was from British ships by way of the sea. Soldiers were forced to cut down trees in the town and tear down buildings for firewood. Ammunition and guns were in short supply for the colonists. A stalemate ensued between the two sides for months. The tide turned after Washington sent the young Colonel Henry Knox to bring tons of cannons to Boston that were captured by Benedict Arnold and Ethan Allen at Fort Ticonderoga in New York back in May. Knox hauled 60 tons of cannons over snow covered mountains on ox carts. It took him three months to get the cannons back to Boston. Washington then placed the cannons on Dorchester Heights south of Boston in a secret overnight action. In the morning, when General Gage awoke, he learned that the high ground on Dorchester Heights had been fortified by the rebels. This land was a high outcropping that overlooked the town and the harbor. This move put any British ships attempting to resupply the town in danger. Vice-Admiral Samuel Graves and General William Howe, who had replaced Gage as the British commander, knew the city was not defensible in this position. A decision was made to abandon the town and almost 10,000 troops embarked for Nova Scotia on March 17. British strength was now broken in Massachusetts and Boston would not be targeted by the British again for the rest of the war. 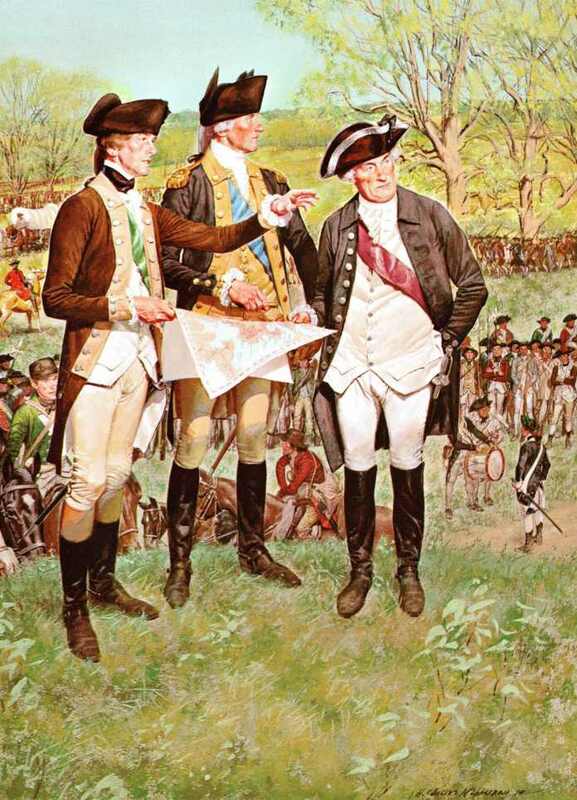 Washington took his army south to defend New York City, the next most logical place of attack for Howe. Howe sailed for Nova Scotia, delivering hundreds of Loyalist refugees there. Howe then sailed with a massive fleet to New York, arriving in July to begin the conquest of New York and hopefully, the rest of the middle colonies.